Find an inspection center to schedule an annual vehicle inspection. Inspection requirements vary by city—get the details about Spokane below. 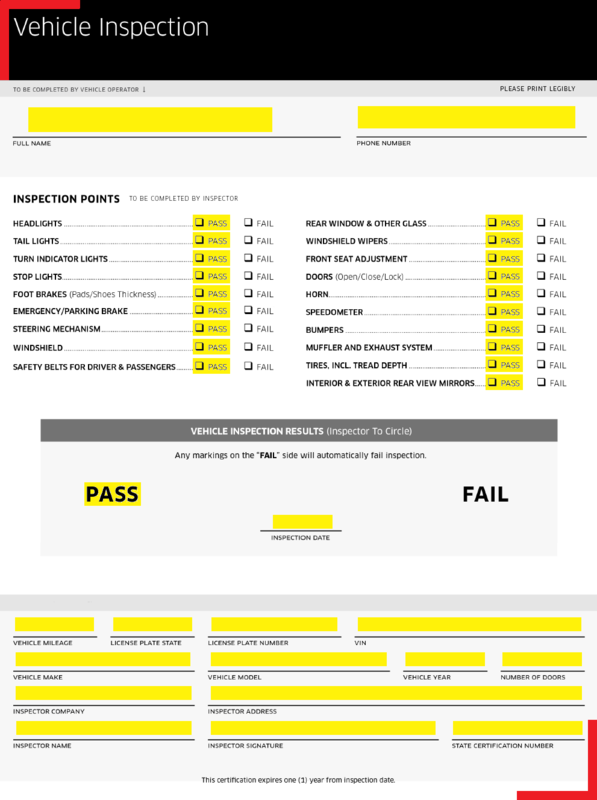 In Spokane, all partners must pass a vehicle inspection before taking their first trip. Uber partners with Clark's Tire + Automotive in Spokane to offer discounts on inspections. Note that Uber does not cover inspection costs when performed by a third-party mechanic.